Life can be stressful. Very stressful. Dealing with work, relationships, family, social media and the struggles of daily life can be a lot. Finding someone to talk about dealing with it all can be stressful in itself. Breaking away from work to meet with a mental health professional, the potential cost of those appointments and trying to navigate insurance to get mental health coverage -- just arranging to get help can be hard. But if smartphones are good for anything, it's easier access to information -- and even help. They can make mental health support accessible anytime, anywhere. Here are seven apps that provide mental health and mindfulness support on the go. 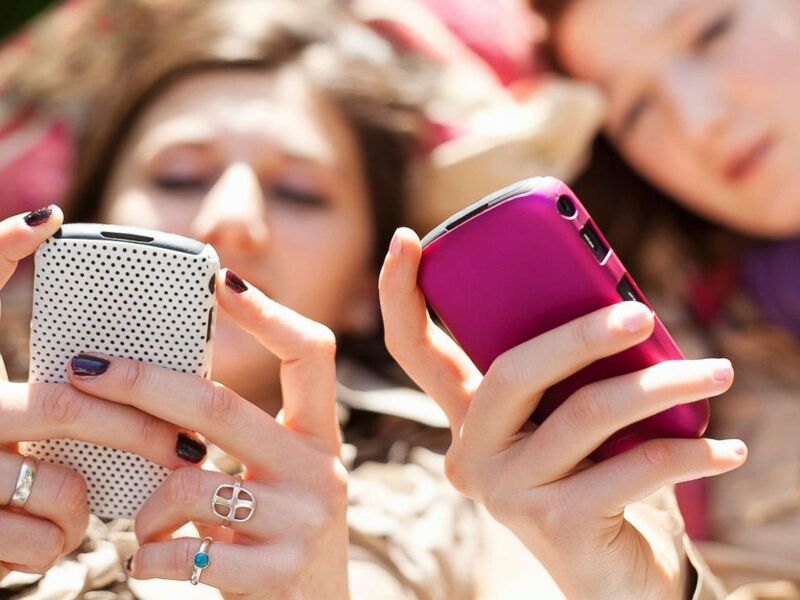 Young women use their phones in this undated stock photo. What's Up is a free app that helps users cope with depression, anxiety, anger and stress through therapy methods and tools like a diary and a tracker for both positive and negative habits. The app also has forums to connect with others, guides on staying grounded and calming breathing techniques. This app offers nearly 10,000 free guided meditations to choose from. Users can modify the meditation to what they need at the moment, choosing from options ranging from ambient sounds to the sounds of bells. Insight Timer also has more than 3,000 discussion groups and local meet-ups run by users. Happify is one case where playing games on a smartphone can serve a meaningful purpose. The app, free with in-app purchase options, has different tracks –- from parenting to anxiety to confidence –- that are coached by trained professionals. Choose tracks and then play games and activities to progress. Talkspace allows users to connect virtually with a licensed therapist. For $49 per week, there's private access to a therapist via text, audio or video chat, as often as daily or multiple times per day. Creating a word cloud may not be the first thing that comes to mind when it comes to therapy, but it is a tool in this app. Stigma provides an easy way to journal and then visually display the prominent words in that writing as a way to track thoughts and feelings. The app can also track mood in a visual calendar and graph how each person's mood adjusts over time. The clouds featured on this app's background give a clue to where it leads: A calmer and more peaceful state. 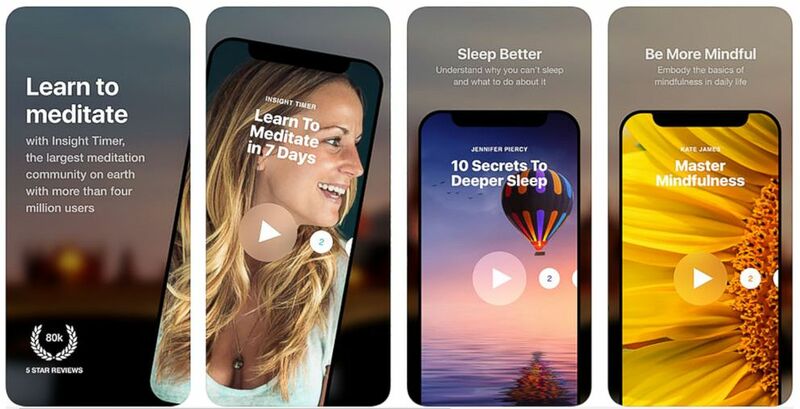 The subscription-based app has audio sessions that focus on relaxation and overcoming anxiety and stress. The seeming inability to quit something -- whether it's alcohol or Diet Coke or the daily coffee rituals blowing budgets -- can lead to stress. Quit That! is a free app that tracks habits people are trying to quit and shows accomplishments along the way, like how long it's been since quitting and how much money it's saved.